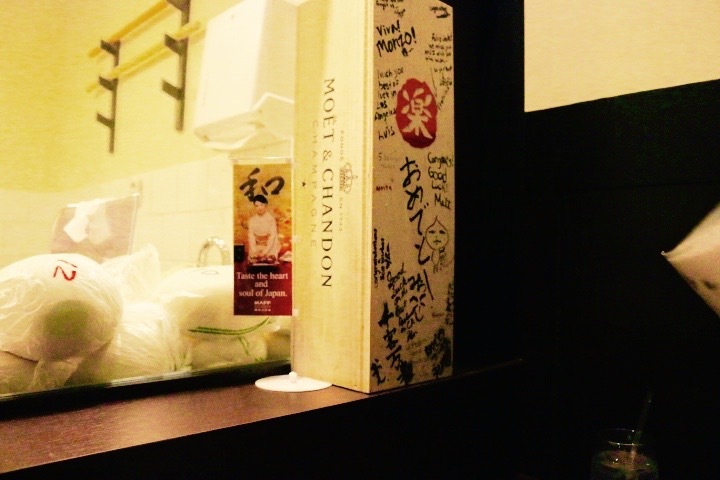 This was the second time my husband and I went to this Japanese restaurant called the Marugame Monzo. This restaurant has a lot of great reviews on yelp. I wanted to try a completely different dish this time around, a dish that I would normally not order. This restaurant makes their udon noodles from scratch. 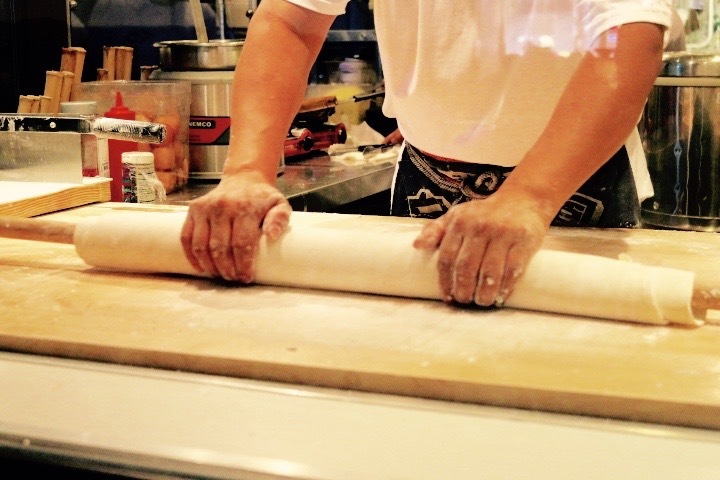 The dough is created at a different place and then delivered to the restaurant where the cook will roll and cut the dough in equal length and size. The cooks get very special training to cut the udon in the most precise way. You can watch a youtube clip of how they make the udon from scratch. This is a gift they received when they opened their store in Los Angeles. When my husband and I arrived to this restaurant, there was already a line formed outside to get into the place and the place hasn’t even opened yet. 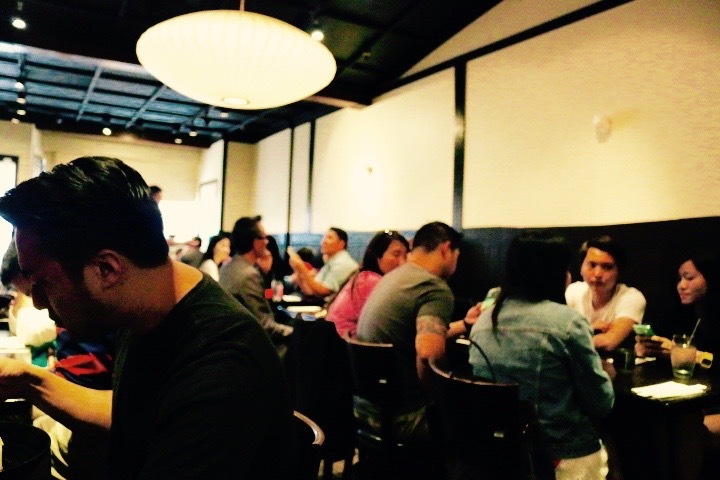 We were surprised how quickly we were served even though everyone came in at the same time. My husband ordered the traditional beef udon soup. The meat was cooked just right and the udon noodles were firm, but soft when you bite into them. My husband loved the flavor of the soup. It was light, but tasted of the scallions and the beef. The soup was different from the ramen bowls where it is more dense with the oil from the pork belly. 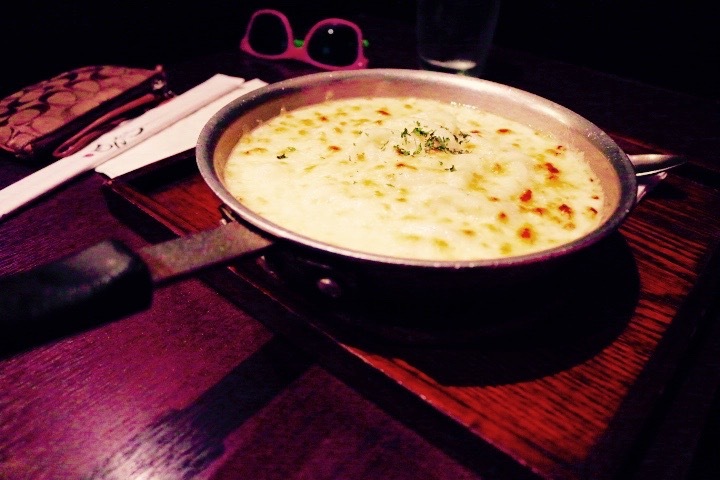 I ordered the Cheese Gratin udon. I was a bit anxious about ordering something so different from what I would normally order. When it came, it smelled really good. The first two bites were very delicious with the cheese and the udon coming together. However, after the first two bites, I got a little sick. I love cheese, but this was too cheesy for me. My husband explained that Japanese cheese gratin is made with purely pizza cheese unlike American cheese gratin is made with cheddar cheese. I feel like cheese gratin was always a bit more creamier and sweeter, but this dish was not sweet at all and there was only chicken so no other flavors to offset the strong cheese flavor. I might have liked it if it had carrots or potatoes along with the chicken if I were to order this dish again. I didn’t want this to turn out to be a negative review. I think some dishes are meant to not be fused together like in my case. Next time, I’m going to order the Mentaiko udon dish. 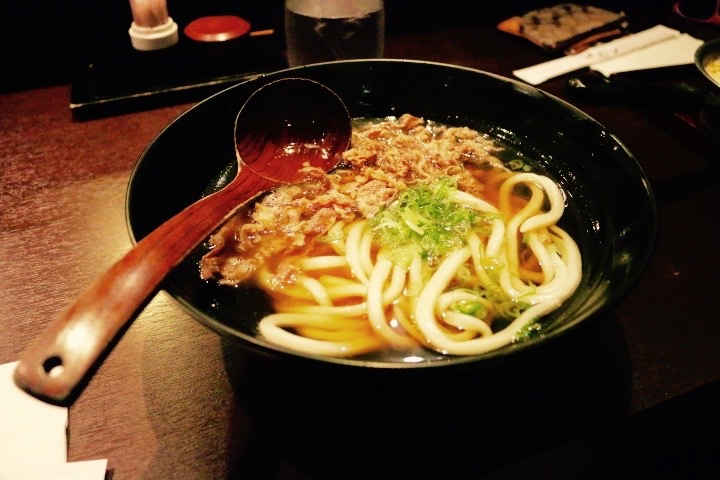 This entry was posted in Food and tagged Beef Udon, Cheese Gratin Udon, food, Los Angeles, Marugame Monzo, udon, udon noodles, yelp. Bookmark the permalink. ← I See Colors Everywhere! !